On November 6. 2018, we lost a community leader, advocate, friend, father, grandfather Manuel Peña, or Manny Peña, as he was fondly known. Manny was one of the original Relámpago del Cielo board members and one of the key individuals in starting the organization. As one of Relámpago del Cielo’s biggest supporters over the past 43 years, he was instrumental in much of the growth and visibility RDC garnered over the years. He loved seeing and hearing about all the work taking place with the development of youth in our community. He knew that education was the key to success and encouraged all students that came across his path to finish school and get involved in extra-curricular activities, especially dance. 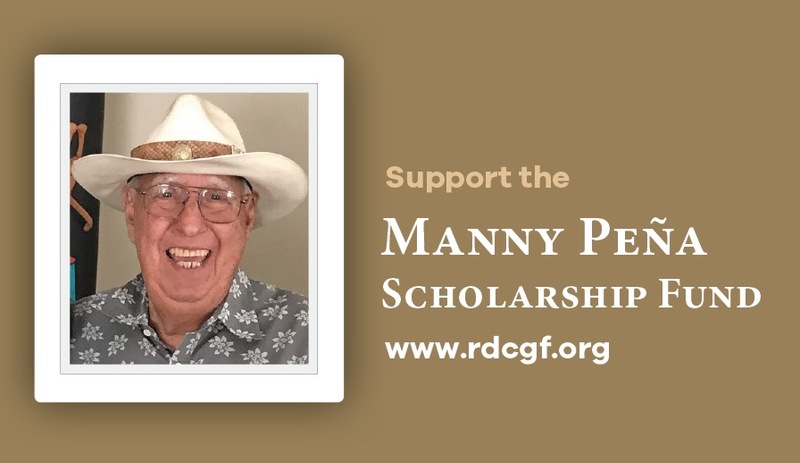 As we celebrate the memory of Manny, the Board of Directors of Relámpago del Cielo has decided to allocate two scholarships per year for student tuition and will create the “Manny Peña Scholarship”. For those of you who would like to support the work that Relámpago del Cielo does each and every day with our over 300 students, we thank you in advance for contributing to Relámpago del Cielo in his memory. No gifts are too small or too big. Your contributions are tax deductible. You can make a donation by using clicking here, or by mailing a check to: Relámpago del Cielo, P.O. Box 3158, Santa Ana, CA 92703. On behalf of the Board of Directors of Relámpago del Cielo and its students, we thank you. Lucy Santana, President & Chair, Board of Directors, and Marlene Peña- Marin, Artistic Director.